The 84-year-old Koester is giving in to hyperbole – it’s really only 3,000 78s – but it’s still a typical morning in the singular life of the legendary Chicago record man. In the latest iteration of a remarkable career, he can be found six days a week, stocking and selling music – and kibitzing – at Bob’s Blues and Jazz Mart, the store he opened in October on W. Irving Park Road on the Northwest side. It’s hard to think of someone who has boosted music in Chicago more than Koester has over the last 60-plus years. 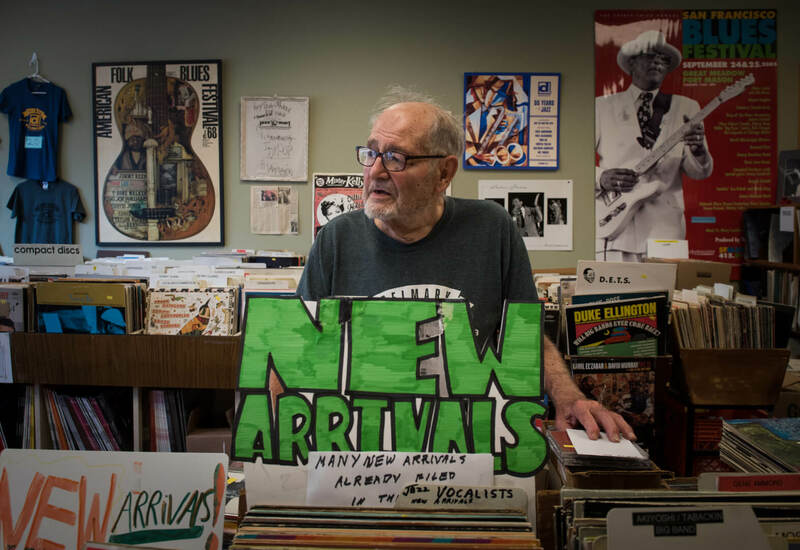 A record collector-turned-retailer who began selling records out of his college dorm in the early ’50s, Koester reached legendary status with the Jazz Record Mart, his 8,000-square-foot superstore off the Chicago Loop. 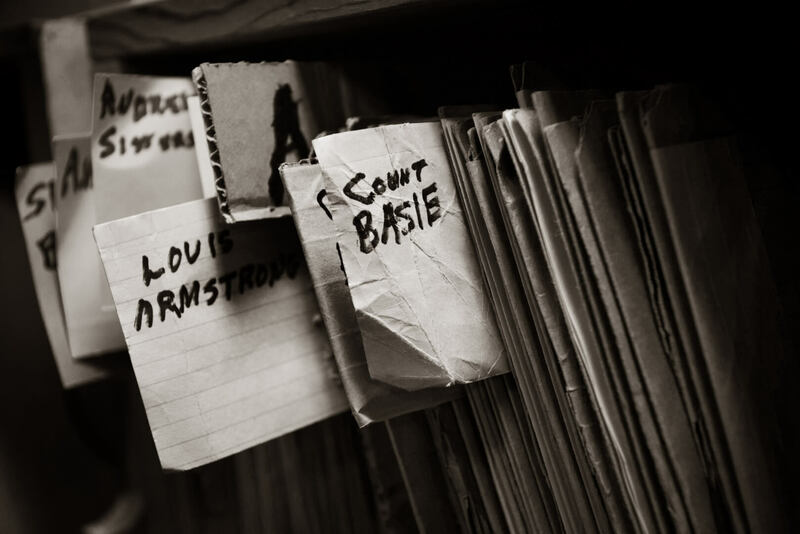 A musical wonderland of overflowing bins, dusty nooks and hidden crannies for new and used recordings in every conceivable format that boasted what was likely the greatest blues and jazz inventory on the planet, it was a must-stop for any serious music fan passing through town. But that’s only half the story. As the founder of Delmark Records, Koester has recorded dozens of key artists and more than a few classic Chicago albums. Listeners have Koester to thank for a catalog of blues legends, including Otis Rush, Junior Wells, Magic Sam, Buddy Guy, Little Walter, Big Joe Williams, Luther Allison, Yank Rachell, Arthur “Big Boy” Crudup and Sleep John Estes. Indeed, the label’s best-selling album, 1965’s “Hoodoo Man Blues” by Junior Wells’ Chicago Blues Band featuring Buddy Guy, is an acknowledged landmark in electric blues. On the jazz side, Delmark began life covering the traditional jazz that Koester loves, but really made its cultural mark by recording the first albums by the musicians of the AACM, Chicago’s groundbreaking experimental collective including Muhal Richard Abrams and Roscoe Mitchell; the label also recorded and released the work of such forward-leaning players as Sun Ra, Anthony Braxton and Fred Anderson. It may be the greatest testimony to Koester that he refused to be limited by his own tastes, electing instead to record the artists around town he felt should be recorded. If Koester was a hands-off producer, he proved a hands-on mentor to Chicago’s next generation of independent label owners including Bruce Iglauer (Alligator Records), Chuck Nessa (Nessa Records), Bruce Kaplan (Flying Fish), Michael Frank (Earwig), Amy Van Singel (Rooster Blues) and Pete Welding (Testament). 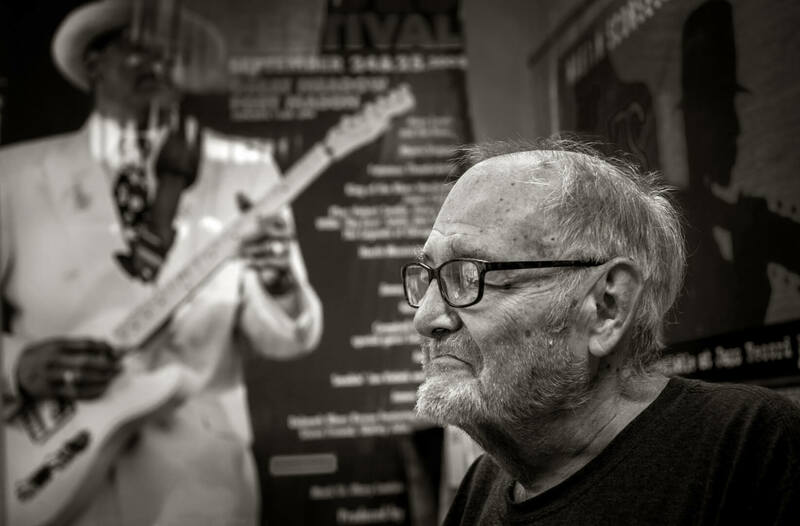 The magazine Living Blues began life in the basement of the Jazz Record Mart with Koester as a backer, while blues harpist Charlie Musselwhite punched a cash register upstairs in the store. Last spring, when the landlord raised Jazz Record Mart’s rent from $12,500 a month to $15,000, Koester finally threw in the towel, accepting an offer to sell the store’s inventory to online collector site Wolfgang’s Vault. Assuming he’d putter around the Delmark office where his wife and son work (the label’s new recordings are produced by Steve Wagner) Koester quickly discovered that retailing wasn’t finished with him. 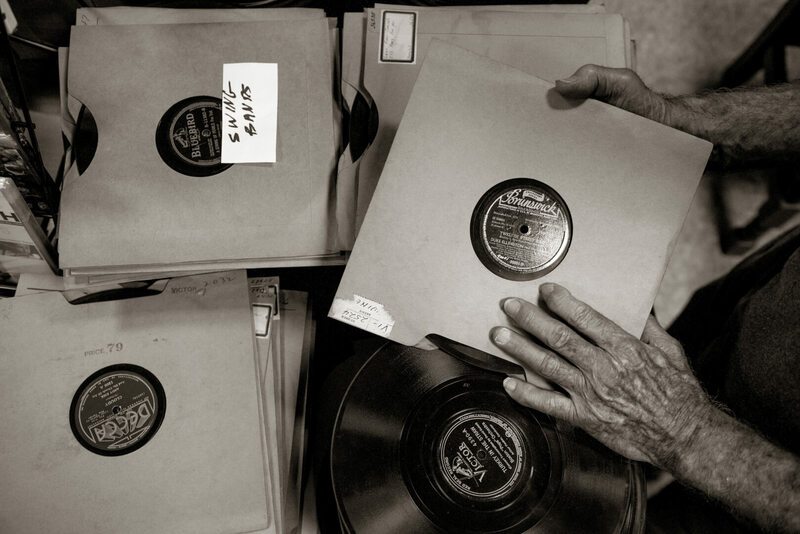 An acknowledged pricing expert on recordings – Bob did an on-camera appraisal of a trove of 78s for “American Pickers” – he continued to buy and sell collections out of Delmark’s headquarters. Before long he had too much inventory for the space; he picked the W. Irving Park storefront because it was within walking distance of his home. Though a modest shop, Koester’s reliance on buying and selling collections makes Bob’s the kind of store where record collectors are likely to find something different and surprising every time they come in. On this particular morning, Koester estimates the store has 6,000 CDs, “a few thousand LPs including two stacks of John Coltrane records,” a smattering of cassettes and those 3,000 78s. He knows that the discovery factor is part of the appeal for his customers. If anything, he finds today’s music buyers have catholic tastes. “They have broader tastes than they used to,” he says while ringing up a customer buying albums by ’60s post-bop saxophonist-arranger Oliver Nelson and ’70s electric jazz-funk luminary David Axelrod. “And I don’t really understand why they didn’t back in the old days. I’m always amazed when blues fans don’t get into jazz. Blues is the core of jazz. Well, except for Stan Kenton,” he says with a laugh. “Poor Stan Kenton. I met him once. Very nice guy. He said, ‘Where’d you get all these old records of mine?’ Right now we have about 30 Stan Kenton records in our inventory. Not easy to sell these days. It’s kind of a shame. He had good taste in sidemen. By the same token, I always said of the Dave Brubeck group that Paul Desmond ought to get a better piano player. Traditional jazz can be found on the schedule at a variety of Chicago clubs including the Green Mill Cocktail Lounge on North Broadway, Winter’s Jazz Club on North McClurg Court, the Honky-Tonk BBQ on South Racine and FitzGerald’s in Oak Park. Initially hosting Saturday afternoon performances at the store, Koester has had to put the shows on hold. “We didn’t have much of a budget for advertising and not enough people were coming,” he says, adding that the live music scene in Chicago has taken a hit since the Sun-Times purchased the Chicago Reader and cut back the weekly’s once extensive listing of shows. “It was a very hip magazine – any gig you told them about they would list, and I always found something to read in it. Now it’s just turned into a rag.” He hopes to resume the series as store traffic increases.